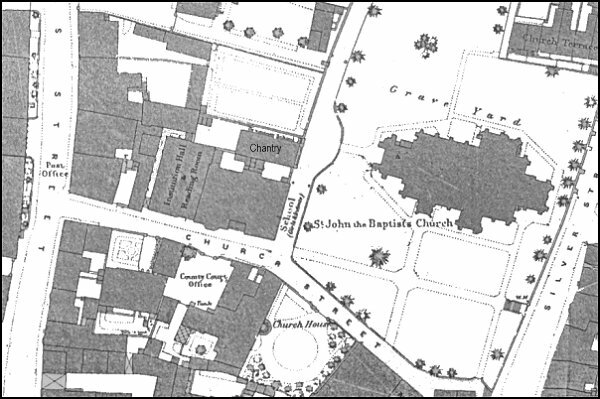 In 1854, a year in which he was a Churchwarden at St John's church, James Tally Vining bought land in Church Street for a Sunday School for St John's parish. 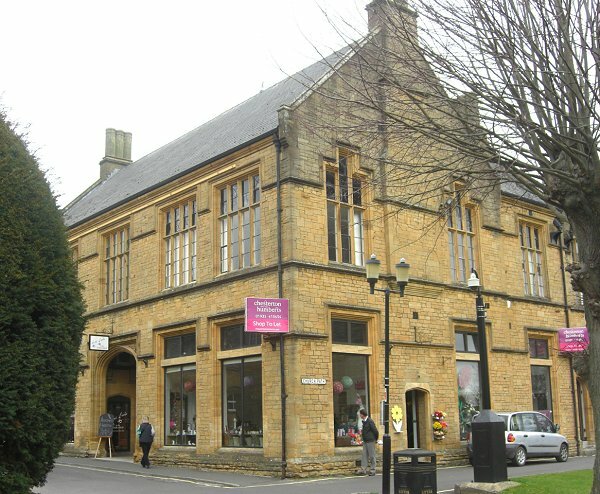 The Sherborne Journal reported its opening on 13 October that year describing it as being in the Gothic style of architecture and very large and commodious, and adjoining the Mechanics Institute. "A new grammar school (the Chantry) is in course of erection at the back of these premises and the whole, when completed, will form a very elegant structure." 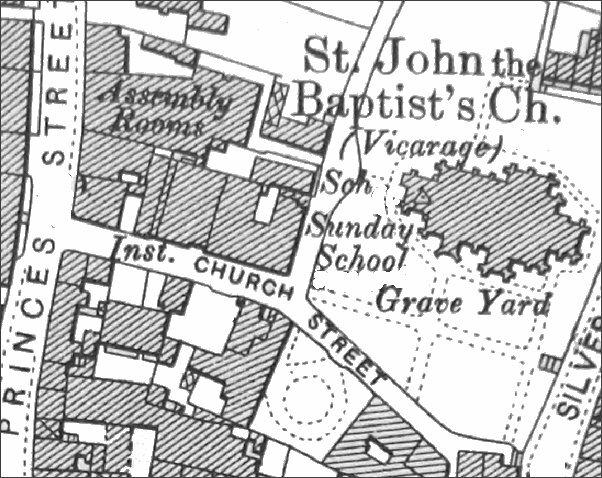 In 1856 Vickery wrote "The school-rooms of St John's Church, in Church-street, have lately been erected, at a cost of upwards of £700, £200 and upwards of which remain as yet unpaid." 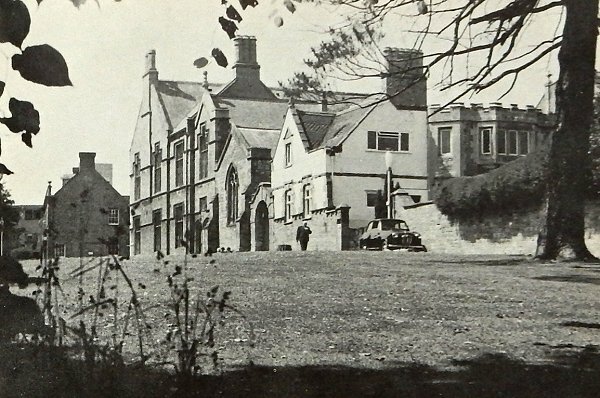 In 1864 the girl's department of Huish National School moved into these schoolrooms and an infants school also opened there. The Huish School managers in 1871 proposed letting the school to Yeovil School Board, the school trustees retaining the right to use such rooms on Saturdays and Sundays and on the evening of every other day of the week, the vicar and churchwardens signing an agreement on behalf of the trustees. At a Vestry meeting on 18 April 1895 the vicar informed the meeting that the Parish Church Sunday School buildings were "not equal to accommodate the number of children who attend" and that the Assembly Rooms in Princes Street had to be used "at great trouble and expense." Mr Henry Stiby urged the necessity of rebuilding the Schools in order to take in all the children "who are desirous to be connected with the Church Schools" and to provide classrooms and rooms for the school library and mutual improvement, and promised £100 (about £40,000 at today's value) towards the necessary funds; the vicar also promised £50. The schools were rebuilt in 1897. In 1930 a fire in the adjoining premises caused damage to the schoolrooms estimated at £1,300. Just prior to the declaration of war in 1939, provision was made for a portion of the building to be used as a Rest Room with refreshments facilities "for the Militia men who would shortly be coming into town from a new Camp at Houndstone." In fact canteen facilities were provided throughout the war years, as well as accommodation for Fire Watchers. 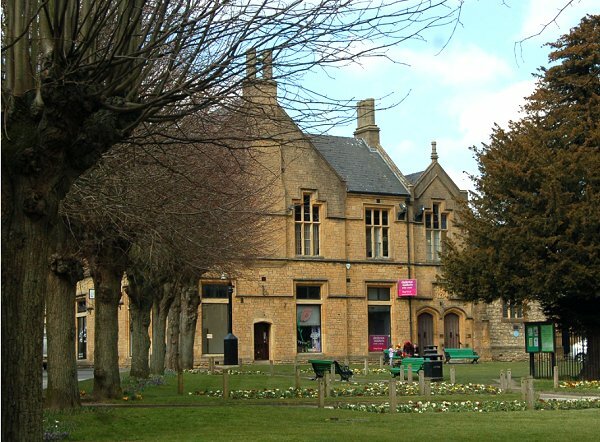 At the Parochial Church Council meeting of 26 May 1941 it was stated "As the Yeovil Town Council carried out repairs to the Sunday School when they were damaged at a previous Air Raid, it was decided that Mr HH Lock and the Hon. Secretary should see the Deputy Town Clerk with regard to the damage that the School suffered on 12 April by Enemy Action." 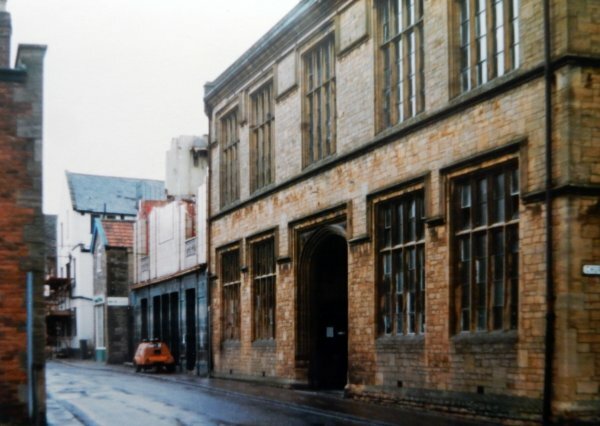 In 1984 the ground floor sections of the schoolrooms were converted into shop premises, the first being opened in November 1984. A portion of the first floor was retained as church rooms at a peppercorn rent. Schoolrooms erected 1896 slated roof between coped gables, each gable crowned by short stone chimney stack. 2-storey 5-bay facade to Church Street, with a big arched recessed porch in Tudor style centrally with steps up, and plinth all around; tall 4-light mullioned and transomed windows with flat heads and linked label moulds at both levels, with string course to first floor cill level and stone eaves moulding. On the return Church Path elevation are the main gable, a short extension and a smaller gable: the main gable has corbelled projecting chimney stack as main feature, flanked by matching 3-light mullioned and transomed windows at each level, the centre light of the first floor windows being raised; the windows are repeated in the one-bay extension and second gable (first floor only), beneath this last pair of pointed arched entrance doorways: above and between them a good oblong sculptured panel. Map based on the 1886 Ordnance Survey showing the original schoolrooms built on the land purchased by James Tally Vining. These schoolrooms lasted from 1854 until 1896. 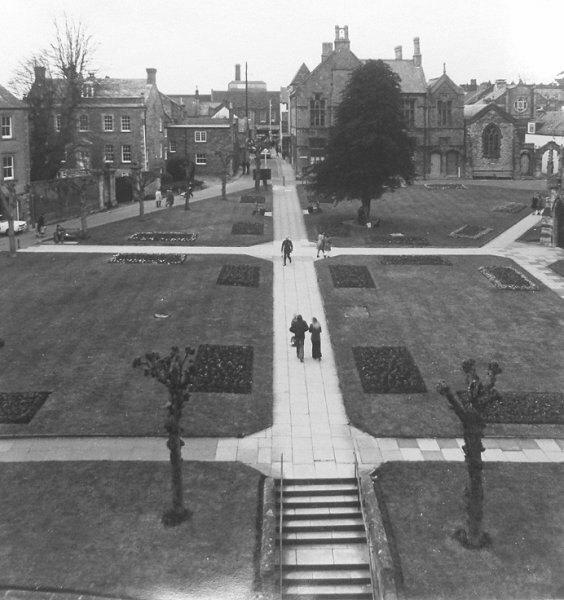 St John's churchyard, south side, photographed in the 1970s. St John's Schoolrooms are at top, right of centre. 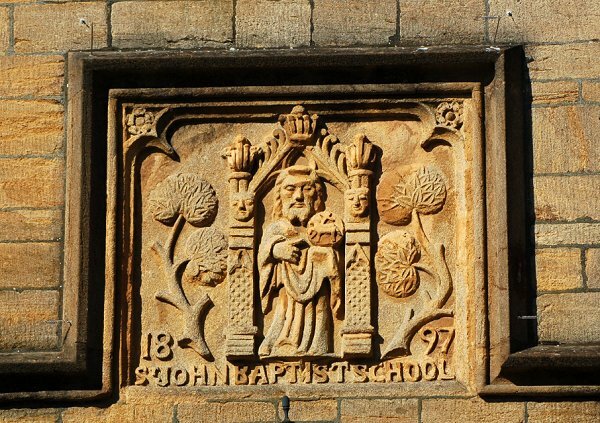 The 1897 datestone over the Church Path entrance to St John's Scoolrooms. 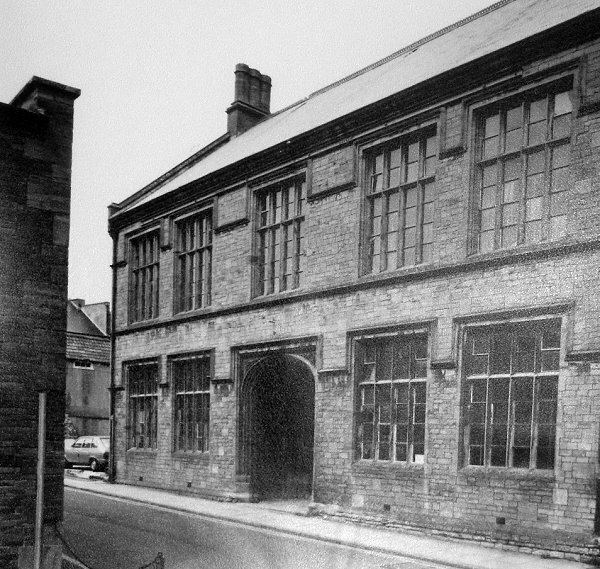 St John's Schoolrooms photographed in the 1970s before the ground floor was converted to shop premises. 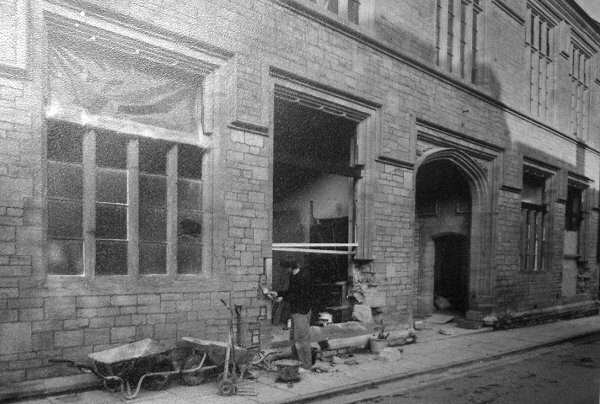 St John's schoolrooms in 1988 before being converted to shops. Note the half-demolished Classic Cinema next door. 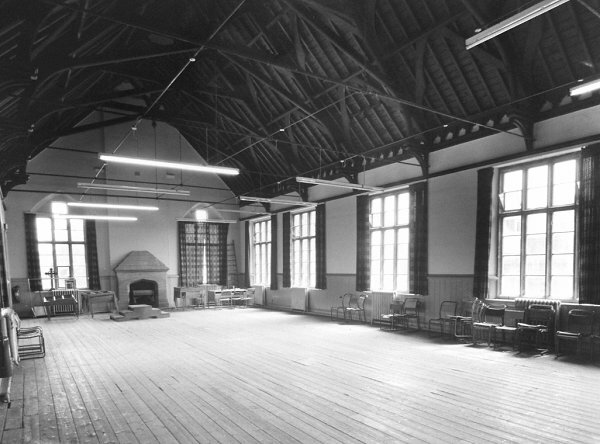 The interior, first floor, St John's Schoolrooms. Photographed in the 1970s. 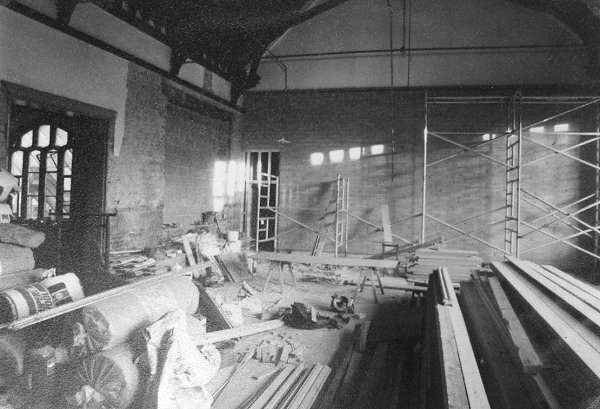 The first floor during the 1984 conversion works. The ground floor being converted to shop premises with larger windows being inserted. St John's Schoolrooms. Photographed in 2013. .... and seen from across St John's churchyard. This is the east elevation facing Church Path. Photographed in 2013.